We care about the health of our patients. 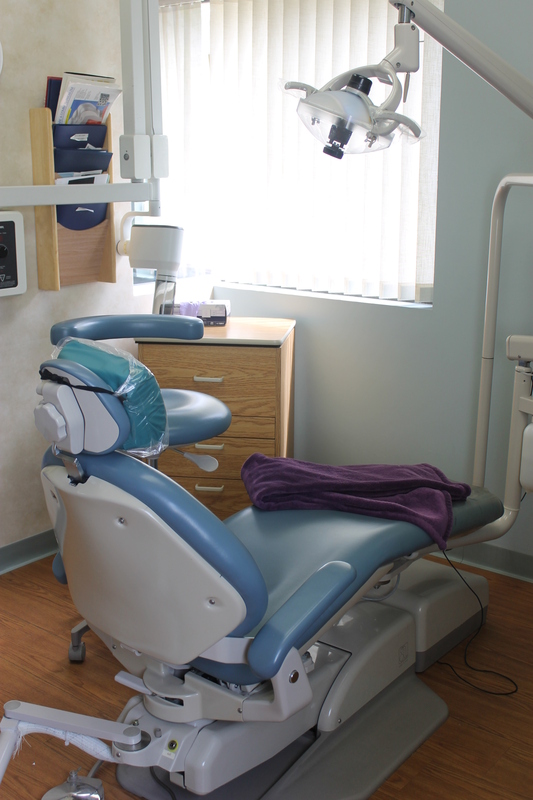 Our hygienists use the most current state-of-the-art dental equipment (and comforts) to provide you with a high quality, more comfortable experience. Come in for a tour. We’d be happy to show you the technology and explain our capabilities. Dentistry with Spa-like Amenities: our dental chairs are very comfortable, ergonomic and have special neck and lumbar pillows. We also provide soft, fluffy blankets and dark tinted protective glasses to wear during your treatment. You can listen to music with our Bose headphones and iPod. We also have satellite radio, CD players and AM/FM stereo. Our waiting room has a flat screen HD-Cable TV, and you may help yourself to complimentary Keurig tea and coffee, a selection of cold juices and water and fruit in the fridge. Automated Appointment Confirmations. Your appointment reminders can be sent by text message or email. Autoclaves. Our autoclaves to sterilize the dental instruments are new and up to date. We have two: a large workhorse called the Midmark 11, and a Statim high speed small autoclave for our handheld pieces and smaller instruments. As required by law, we test these autoclaves each cycle and weekly to make sure they are working properly. Intraoral Camera: We use state-of-the-art Kodak digital intraoral cameras to visualize and communicate the condition of your mouth and dental needs. “A picture says a million words” is so true. Digital Radiography: For starters, we are very conservative about taking x-rays, but when we do need them we use digital radiographs for reduced the radiation exposure time. This technology is better for you and for the environment: getting rid of film and developing solutions that are hazardous waste. 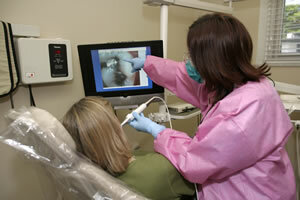 STA machine: STA stands for “Single Tooth Anesthesia”, and enables us to deliver anesthesia without a needle. This is a good solution for the needle phobic patient. Prep Start: So much of dentistry is “bonding” now, and this wonderful instrument cleans off surfaces to be bonded, providing a longer lasting restoration. Laptop: with and education program with over 30 educational videos.